I'm about to take you on a journey through the deep, dark depths of outer space. Why? So you can get a feel for what crystal oscillators and resonators must endure while in the infinite world of darkness and wonder! 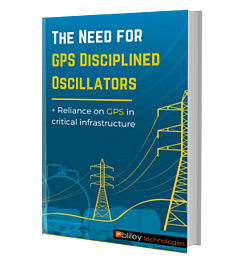 First, you'll need to learn the important differences between crystal oscillators and resonators. 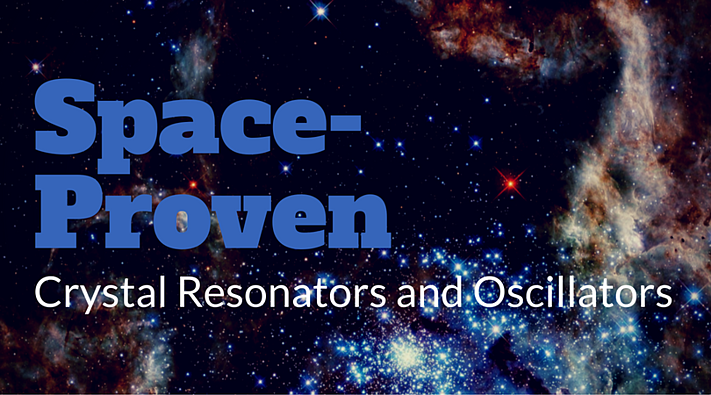 After your mission is complete, you'll begin your journey to the depths of outer space from a resonator and oscillator perspective and learn their different roles and applications in space. What's the difference between crystal oscillators and resonators? Many people get the two confused because they complete similar functions. However, there are actually significant differences between them. Let's take a quick look at some of the major differences between crystal resonators and oscillators. A crystal oscillator is essentially an electric circuit which makes use of the resonance of vibrating crystals to create an electrical signal which carries a highly precise frequency. This frequency can be used to track time precisely, and is applied to digital integrated circuits used in radio transmitters and receivers. As for crystal resonators, they fulfill the same function, in that it vibrates mechanically when an electric current is applied to it. However, unlike the oscillator, which is an active device, the resonator is passive and the value of its impedance changes quickly over a narrow range of frequency. In many cases, the crystal resonator works as the core for the feedback network for the oscillator, and is thus a part of the oscillator's internal mechanism. Who Knew a Simple Crystal Could Be So Complex? Speaking of space crafts, let's talk more about an oscillator's and resonator's role while traveling the infinite world of outer space! Crystal oscillators are the popular choice in place of LC circuits, tuning forks, and similar devices, and are used in various microcontrollers as a clock signal. This clock is then used to synchronize internal operations within the devices. Most of the work done in space is for research purposes, and that means the machines used for the purpose need to be as accurate as possible, in addition to being able to survive the harsh and inhospitable climate of outer space and other planets. Crystal resonators and oscillators do well on both counts and thus are relied on heavily for internal synchronization of the devices. Oscillators used for this purpose are found in space vehicles as well as heavy-duty military vehicles. They perform a wide range of operations including course navigation, time synchronization and operating phased locked loop systems. As has already been mentioned before, a crystal resonator is an integral part of the spacecraft's communication devices, which are used to connect, not only the vehicle's human occupants but also to connect the entire machine back to the ground-based systems control center. The crystal resonator should be radiation hardened, which means they must be able to function in the presence of space radiation waves that are much more intense than the earthbound kind. The crystal resonator should also be as small and durable as possible, have sound short-term stability and excellent phase noise and aging characteristics, in order to reduce the chances of something breaking or malfunctioning in the middle of a mission. Thus, we see that the use of crystal resonator and oscillator devices in space is a complex process. This requires outstanding equipment that guarantees precise measurements and the ability to be used for a long period of time in extremely harsh conditions. Traveling through space isn't exactly a stroll through a beautiful meadow! However, I'm sure the view is priceless from all the way up there. Hope you enjoyed the journey!